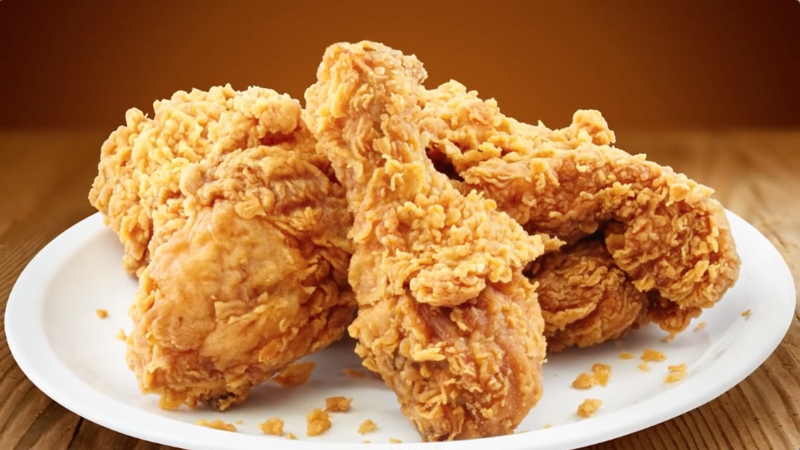 Who else wants to know how long to cook fried chicken in deep fryer? You might also want to know what temperature you should fry the chicken at and what type of cooking oil or grease should you use? These are all good question and you'll need to know the answers if you want to fry the best chicken. We recently received an email message from Tina who lives in Bay Minette, Alabama. Tina wanted to know "how do you cook chicken legs in a deep fryer?". We'll answer here question and provide you much more information about deep frying the best tasting chicken ever. The comments submitted below were submitted by loyal visitors to this website. Read over the information, tips, and techniques they provide about deep frying chicken. After looking through I don't know how many web sites for deep frying tips, I finally found this website that made it simple and easy. All the other sites talked about was frying. You should deep fry seasoned floured chicken wings for about 10 minutes. You can remove when the chicken rises to the top of the oil. I use a metal colander and a deep baking pan to drain the oil, but paper towel is also great. The perfect temperature to deep fry chicken is 375°f. My secret to crispy fried chicken legs....take a good heavy bottom pot or cast iron pot fill with vegetable oil half way I use a whole 42 oz bottle. Heat oil to the perfect temperature. I do not have a thermometer I place the handle end of a wooden spoon right in the center of the oil after it has been heating for a couple of minutes. When the oil bubbles run away from the spoon your oil is ready. It's a little better to drain fried foods on paper bags rather than paper. Use towels to retain the crispiness. Or drain on a rack and let the grease drain on towels under. Tina, deep fried chicken is juicy and delicious. There is really only a few secrets to cooking in a deep fryer. You must heat your cooking oil to the proper temperature and don't add to much meat and overcrowd your fryer. Start off by placing a few pieces of chicken into your hot cooking oil. When the chicken begins to float on top and brown to your desired color remove and allow to drain on some paper towels.